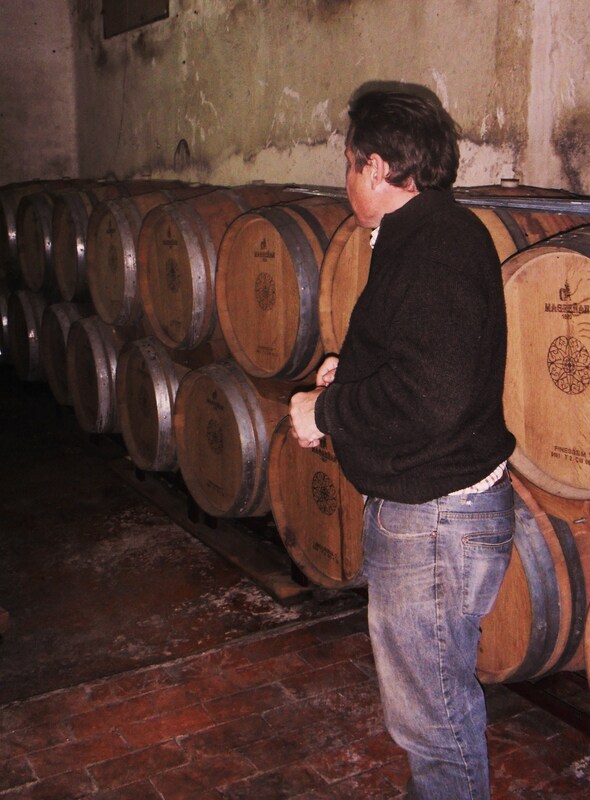 A Visit to Bodega Masia de la Hoya, Segorbe, IGP Castellon. The last time we met was in Benlloch in March at the local agricultural fair ( see archives March 24 2013). Following a tasting of four of his current wines I was keen to visit the bodega for myself and Guzman, who has always pointed out that the bodega is not geared up for wine-tourism, suggested I come in May when the vines were in bud. Yesterday I had the privilege to visit the bodega on the outskirts of Segorbe, the vineyards in the hidden valley in the hills and the offices in the centre of town. I could not fail to feel the sense of history, the co-incidences over centuries as Guzman described his and previous owners experiences as we toured the property. The working part of the bodega is opposite the family garden nursery run by his sister. The Masia de la Cruz is an ancient site with an old bodega on it. Historically it was a place for waggoners to rest their horses on their long journeys….the `Cruz´element having nothing to do with the church on this occasion. For all that Guzman works here on his wines in cramped conditions, the yard is full of very modern wine-making equipment including a peristaltic pump and high level sorting table…………the press also being at a higher level allowing the waste to be dropped directly into trailers to avoid cleaning-up after the harvest……a good ergonomic practice! Here Guzman also has a small barrel park, laboratory, equipment store and bottling line but once bottled the wines are labelled in the offices as there is no room for that part of the equipment in the bodega! Here he explained how he had started, full of hope, in 2004 and the crop was almost ruined by severe hailstorms. 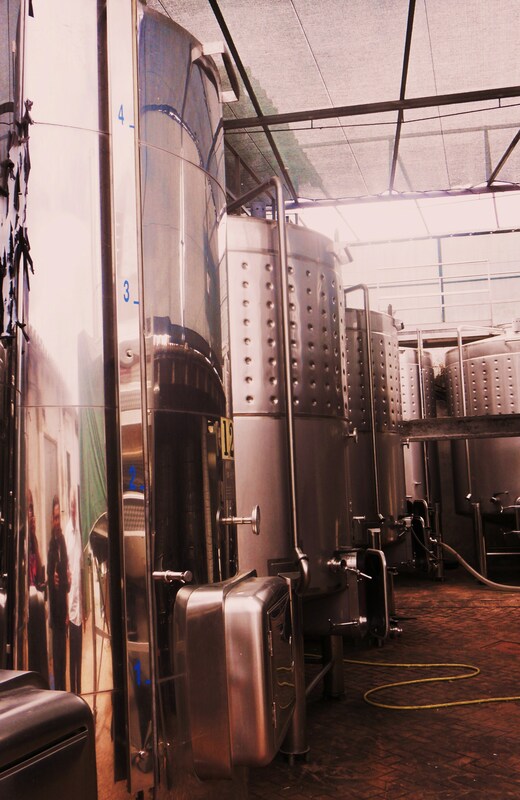 An agricultural engineer by trade and a newly qualified enologist he was left to salvage what he could and spent the year with three small deposits experimenting with fermentation, developing flavours etc. From these lessons came Orero Seleción his top wine. Guzman in the Barrel Park. In the barrel park he showed us the Syrah quietly ageing in a mixture of Limousin, Vosges, American and Rumanian oak, 4-5 year old barrels where it will remain until it has been there two years. Next year he hopes to invest in new barrels. From here he took me to the vineyards, in a natural valley surrounded by high wooded hills, overlooked by the ancient Masia de la Hoya. It is one of the most beautiful places I have ever visited with glimpses through gaps in the hills to more Northern parts of Castellon province. In the base of the valley neat rows of Monastrell, Syrah, Cabernet Sauvignon, Garnacha and Merlot stand out, each row with its marker identifying variety, clone and year of planting between 2002 and 2005. The soil is easy draining clay without too much stone despite the run-off from the high hills. The plan is to plant more vines to bring the current 14 hectares up to 25 in total. All the varieties are red, homage to his father who loved red wine! 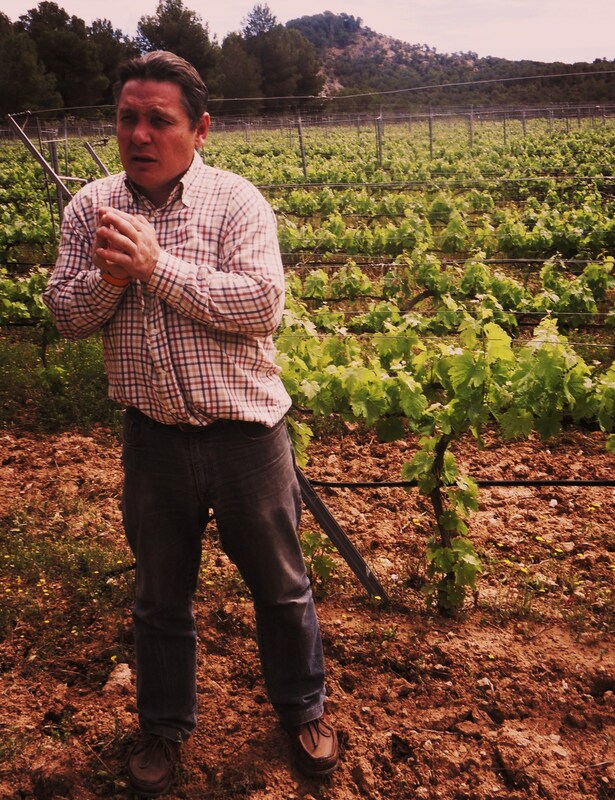 Guzman explained the reason for planting the vines at half-metre intervals in double espalda. The trick was one he learnt from the Perez family of Clos Martinet and ensures the bunches of grapes are small and loose bunched which generally gives fresh fruity wine with lots of colour. 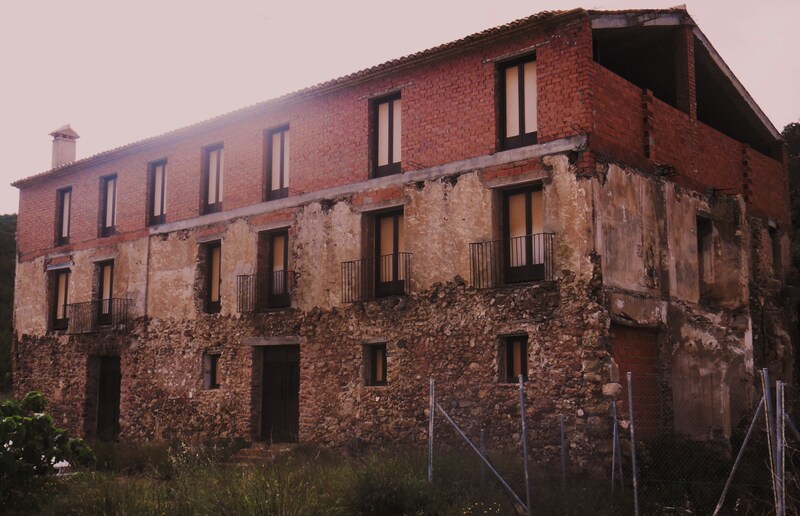 The old Masia itself is in a state of part restoration. Guzman´s father had intended that the bodega would eventually move here in total and work on the Masia and the new facilities had commenced in 2009 but came to a stop on cost grounds later. 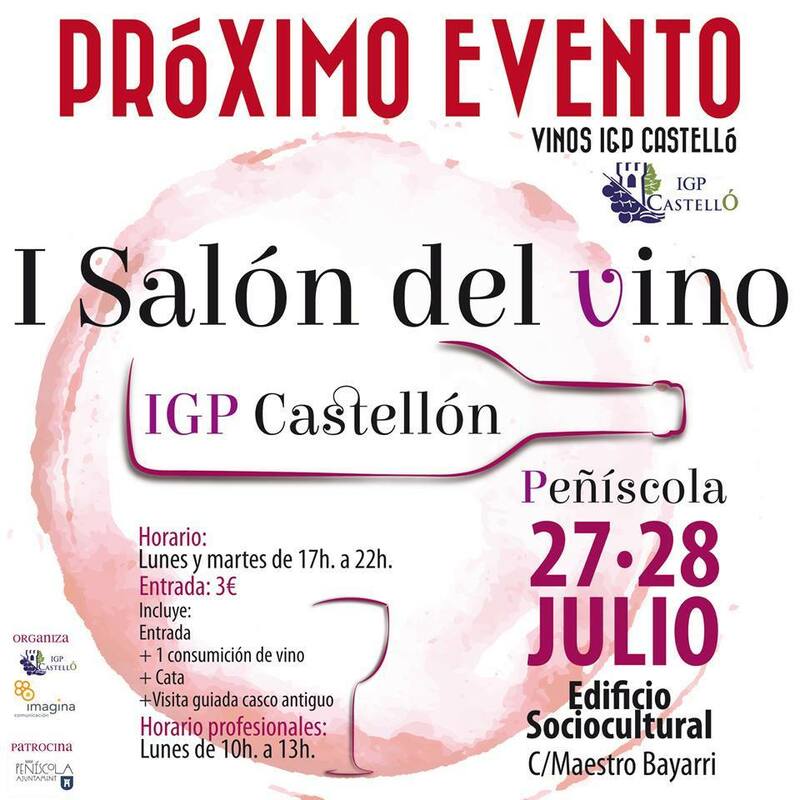 Nonetheless part of the old chapel had been restored, part of the old building pulled down, exposing the old `lagars´where the grapes were trodden by foot, the new equipment shed and bottle store built into the hill below the Masia and the large water deposits, fed by a natural spring . Inside Guzman told me were old wine tanks and evidence of a press. Outside ancient table grape vines wound their way over the supports on a terrace and water from the natural spring gurgled into a `lavadero´before falling away in a conduit towards the bottom of the valley. 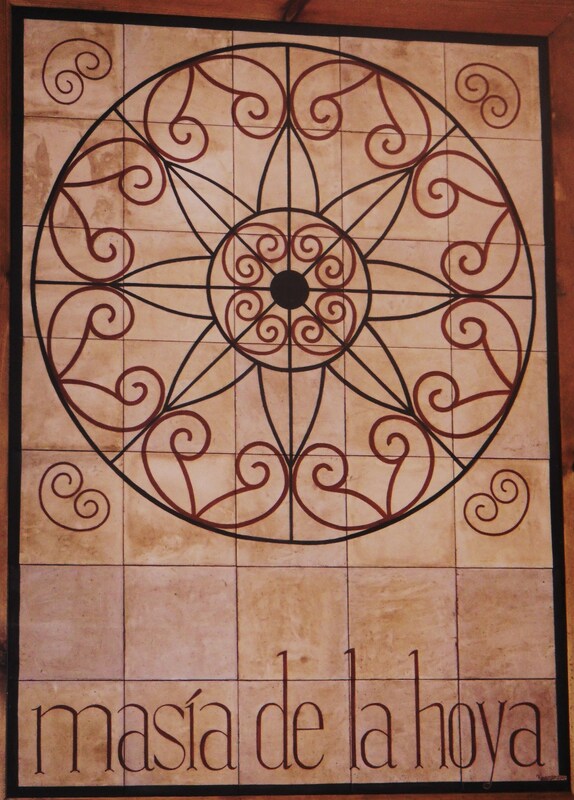 In the back wall of the Masia sits the frame of the rose window in the chapel . This is the bodega´s logo. Guzman explained that none of the history of wine-making was known when they bought the property. They had purchased it on the grounds that it would support fruit trees, in line with the family business run from Seville in which Guzman had worked for ten years before returning to Segorbe. However the local library turned up papers going back to 1884 from which it emerged the tenants renting the land had not paid their rent ( wine) to the local Catholic seminary for three years! The reason it turned out was that they had suffered from hail and permission was being sought from the Bishop to allow them to continue there. Further research showed wine was being made on the property as early as 1773. 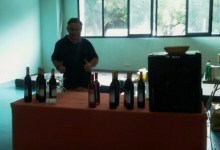 Guzman said he felt very at ease with his predecessors and the shared experience of the hailstorms in his first vintage. Guzman Explains the Planting Policy. We left the valley, somewhat reluctantly and I followed Guzman´s car back down the dirt tracks and under the old narrow railway bridges which would certainly stop tourist coaches ever getting to the property! We finished our tour in the old offices in the centre of town where I selected some wines for an upcoming tasting. Tasting notes for the wines appear in my 24 March blog. 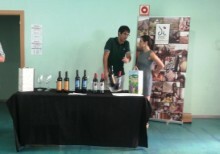 Suffice it to say they are excellent and a testament to the enthusiasm and skill of this personable and particular wine-maker under whom the bodega will undoubtedly continue to grow as long as sales of wine continue and time is not diluted by his role as Secretary of the Terres de Castellon group of wine makers.